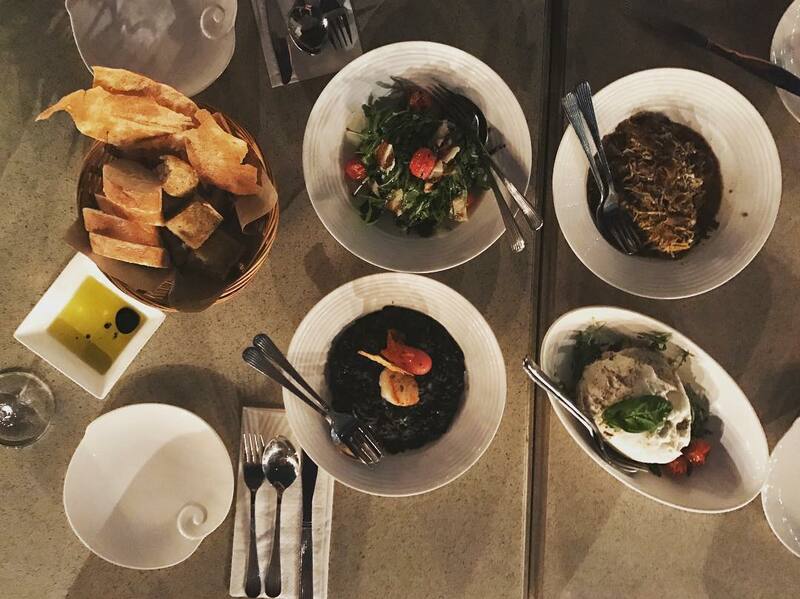 As much as the quality of food matters when picking a spot for date night, the ambience does too. 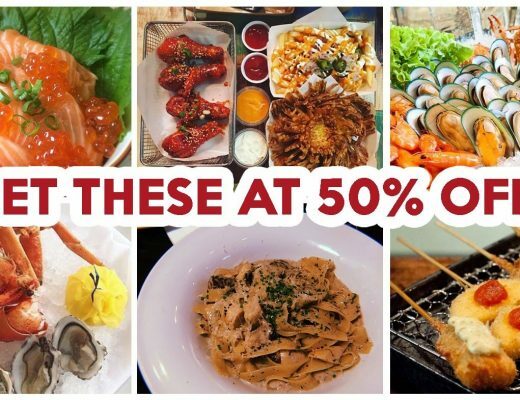 I mean, the food at Amoy Food Centre is great, but I’ll probably not go there for date night. 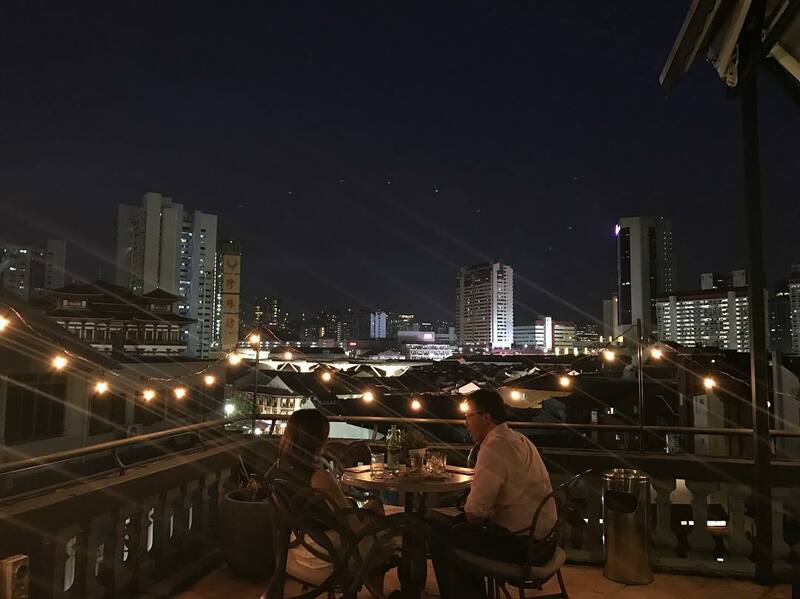 For me, my go-to date night spots are definitely rooftop restaurants. 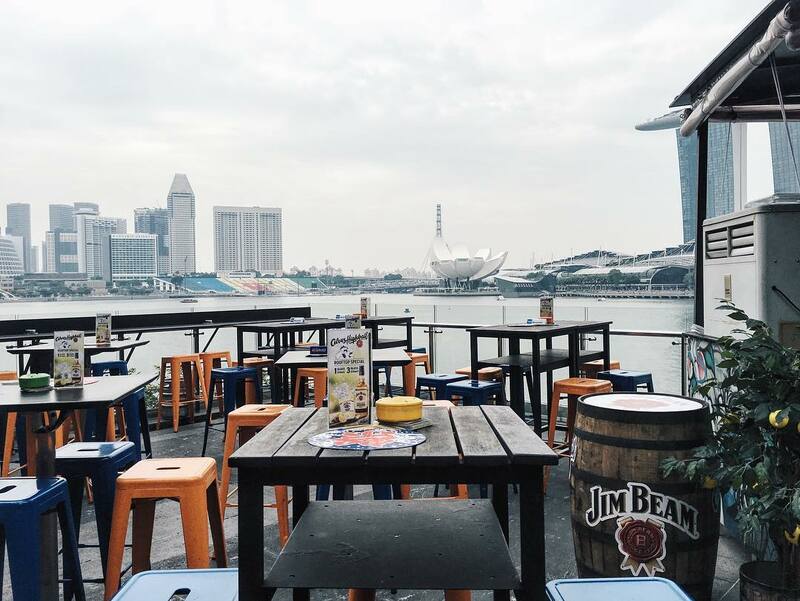 Just imagine the dreamy view of Singapore’s skyline sparkling in the distance as you flirt amorously with your date. 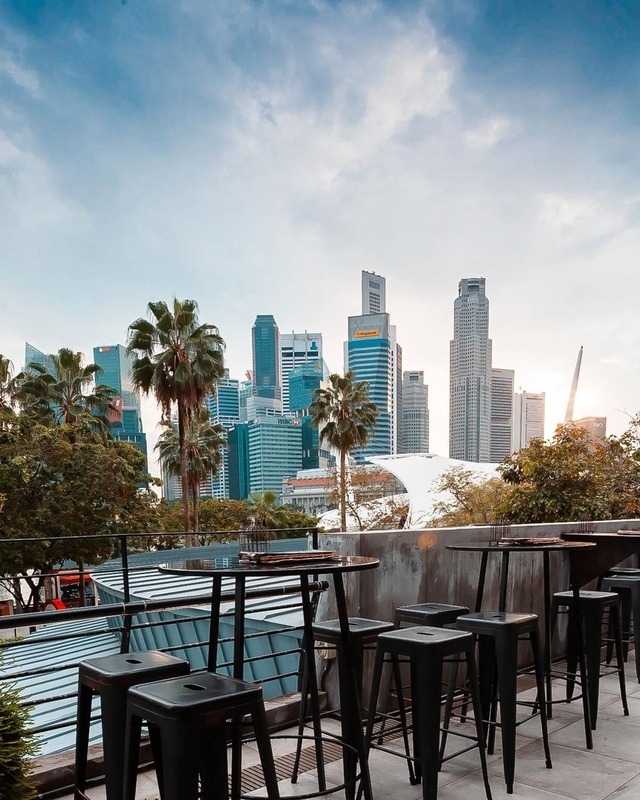 If you’re now intrigued on how to up your dating game, this list of 10 rooftop restaurants is perfect for you. Where better to have a date than Aria Roof Bar? 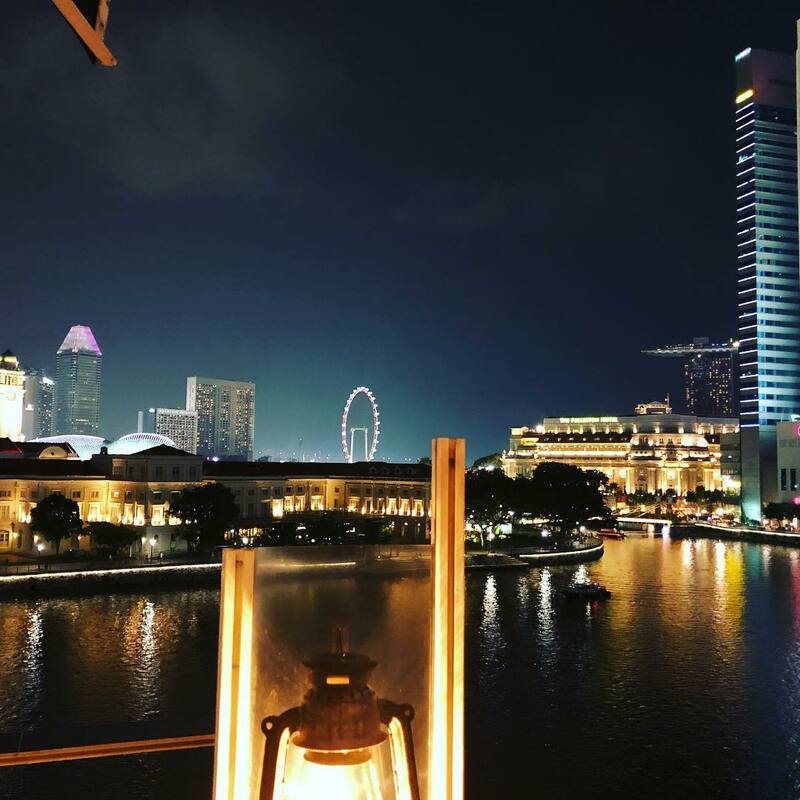 As fairy lights shine in a warm glow while the cool summer breeze blows, you and your date will be completely immersed in the romantic beauty of Singapore. As you sip on your cocktail, dine on the Casa Tartufo’s Famous Truffle Fries ($15++). Its strong perfume of truffle provides an earthy accompaniment to your drinks. A more meaty option would be the Baked Beef Balls ($12++). Meaty spheres are well seasoned in a special spice mix, then baked to a gorgeous sear. Accompanied by live music and a gorgeous view of the CBD, Supply & Demand is a great place to impress your date. You can even dedicate a song to flaunt your cultured taste in music. The Morning After ($21++) is a safe bet for anyone intending to share a meal. 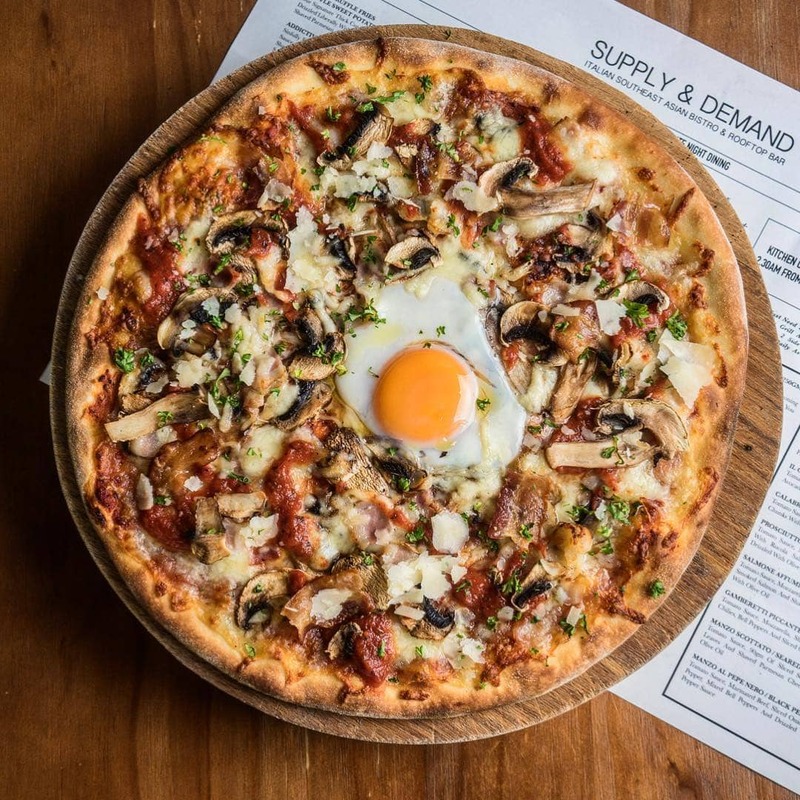 Topped with bacon, mushrooms, and a generous dose of mozzarella, the pizza is complete with a wobbly egg in the centre. For something to sweeten the night, get the Sinfully Chocolate Cake ($9++). It is a decadent treat worth every calorie. A viscous chocolate ganache is layered atop a dense chocolate sponge, making every mouth chock full of chocolatey goodness. Our Village overlooks the Boat Quay River. As the sun sets, you’ll be greeted with gorgeous warm lights that illuminate the Asian Civilisations Museum with a soft glow. Who knows, you may even score your first kiss here. Lamb Rogan Josh ($25++) is a wonderful option for lovers of lamb. Strong perfumes of cumin and turmeric shine through the dish, obscuring any gaminess. The natural sweetness of cinnamon also gives an elevated level of complexity, making for a delicious meal. Fish Curry ($25++) Is also another good dish to order, with a pleasant seafood aroma permeating the entire curry. Here at Propeller, you’ll be seated on a rattan sofa outfitted with bright orange cushions as you admire the sea view. In the evening, you can even time your proposals or professions of love to coincide with the fireworks from Sentosa! For pizza lovers, they serve up a 12-inch Pepperoni pizza ($18++) that’s oozing with cheese. It has a thin but fluffy dough, so you won’t feel ill even after gobbling down all 12 inches of it. If you prefer Asian food, opt for their Indonesian Grilled Chicken Served With Vegetables ($14.90++). A smoky charred leg of chicken is paired with seasonal veggies, and makes for a hearty meal. 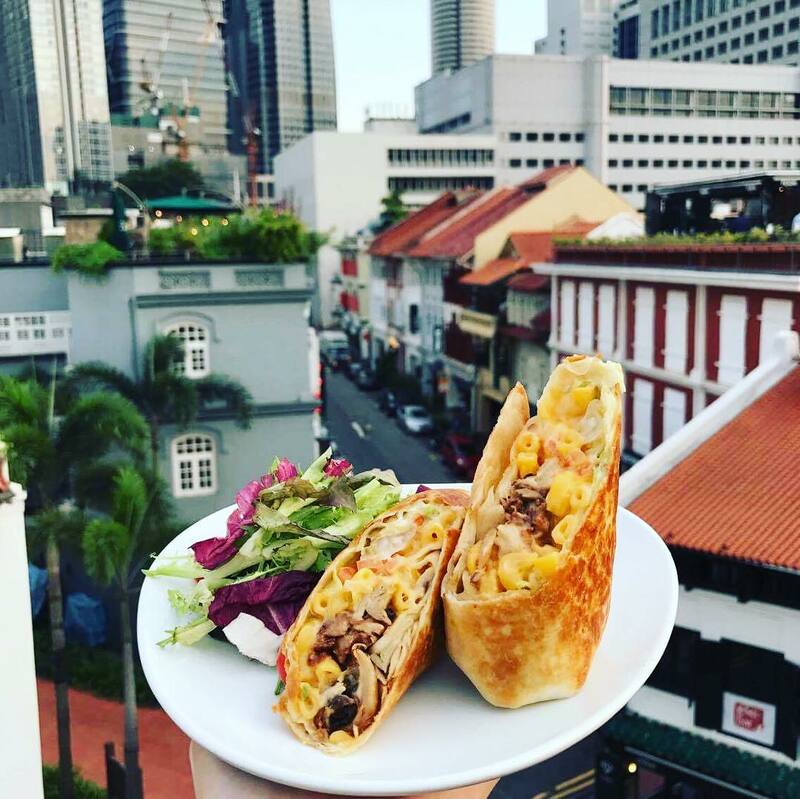 Perched on the rooftop of a quaint shophouse in Ann Siang Hill, Screening Room spots an impressive view of Tanjong Pagar. At night, the skyline lights up in an iridescent glow that will make your date’s heart glow just as bright. 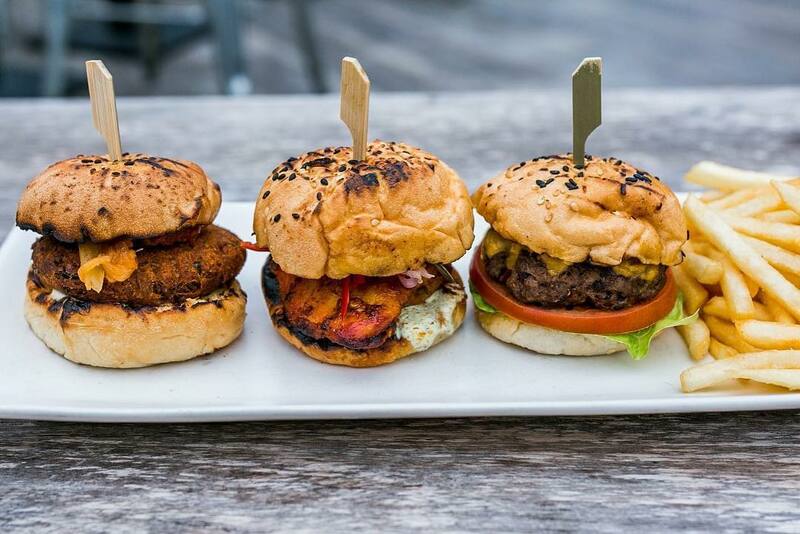 Trio of Sliders ($22++) features Angus beef, chicken and falafel mini burgers accompanied by a generous handful of fries. This is a great option if you don’t like eating the same thing twice. Paneer Shashlik ($16++) on the other hand is a vegetarian-friendly choice, with a tart harissa salsa and refreshing coriander chutney drizzled over skewers of paneer. 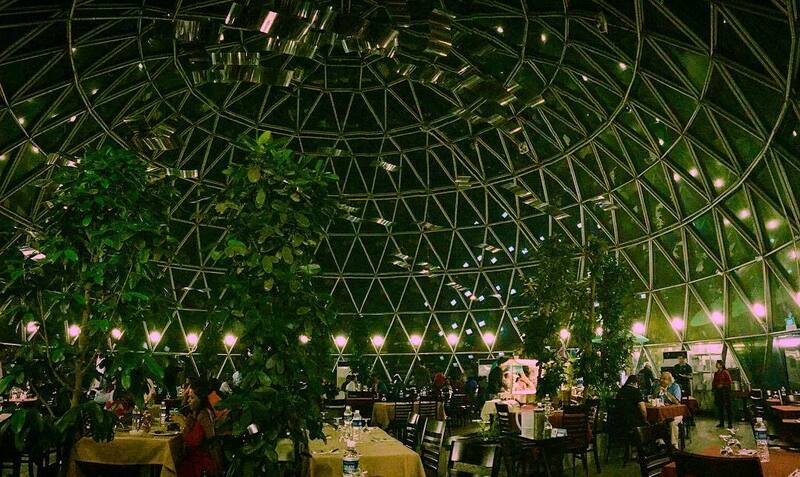 Here at Kebabs & Curries, you will be seated under a gorgeous glass dome overlooking the bustle of Little India. Linen tablecloths drape the table, giving an atas vibe. 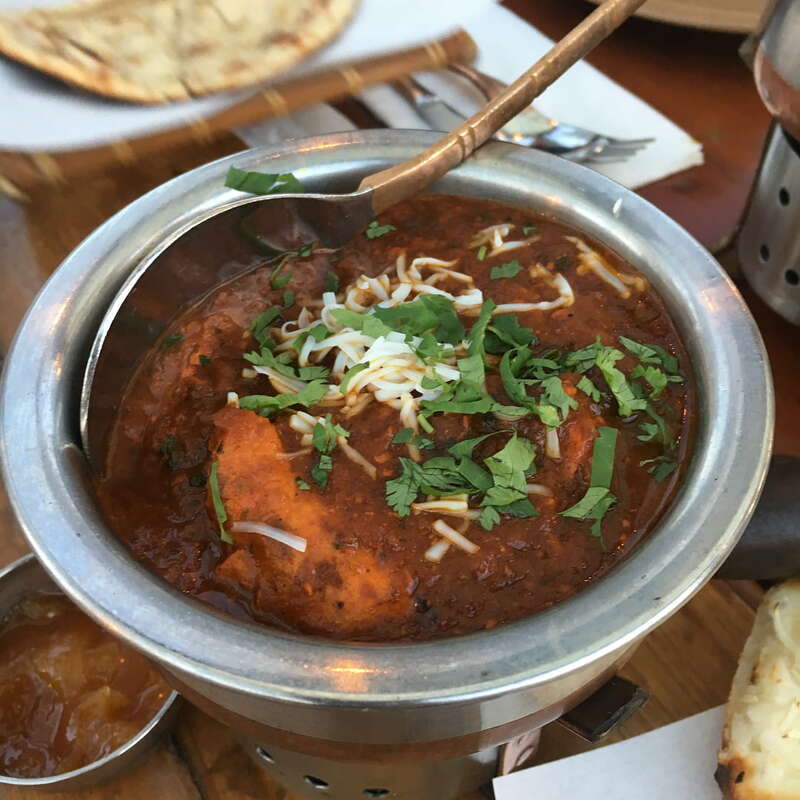 Consider getting the Lamb Curry ($14++) when you’re here. A rich spice mix brings out the natural meatiness offered by the lamb that’s cooked to a fork-tender softness. 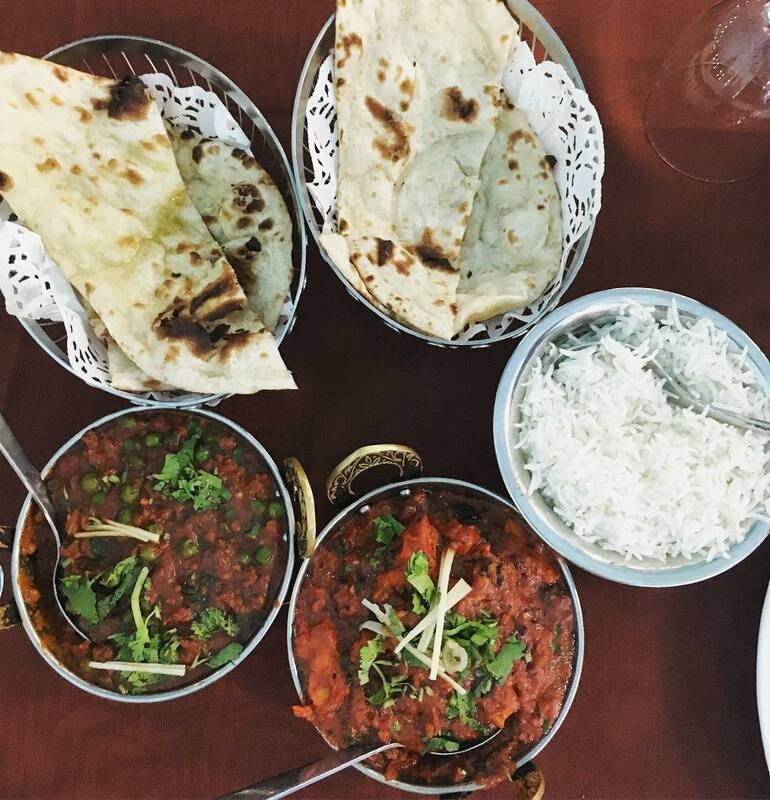 Top up for a basket of Naan ($3++) to mop up all those delicious curries. 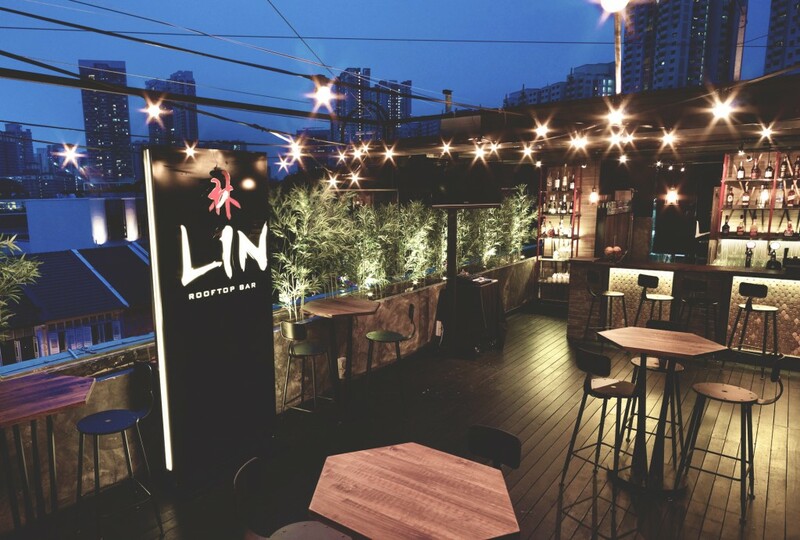 LIN feels like a forest in the sky, with bamboo growing all around this resto-bar. Fairy lights dangling like stars in the sky and gentle music serenading both of you adds to the romance. 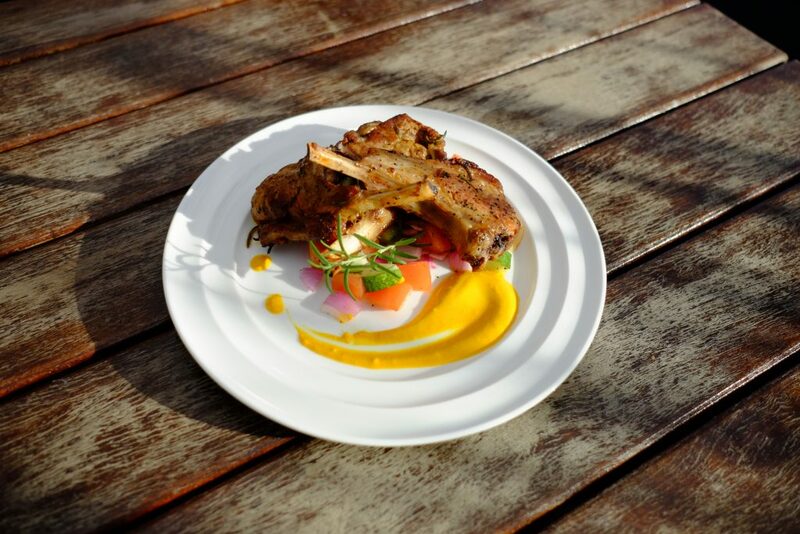 The Lamb Chop ($26++) comprises two large ribs of lamb seared to a crusty golden brown. Mint sauce then confers a light freshness that lightens the dish. There’s also the Empress Wings($11.80++) that’s basically har cheong kai with a crispy, savoury skin and juicy inside. The prawn paste isn’t too jarring, allowing the natural chicken flavours to shine. 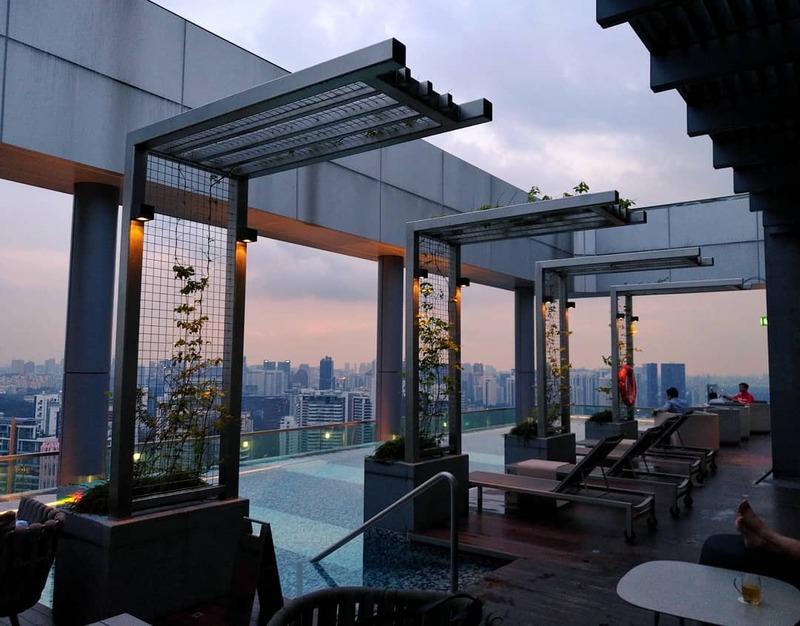 Urbana Rooftop Bar is located at the top of Courtyard Novena, with a classy infinity pool that seems to just flow off the edge of the building. As the sun sets, you and your date can admire the rosy sky as gentle ripples of water trickle down the pool. 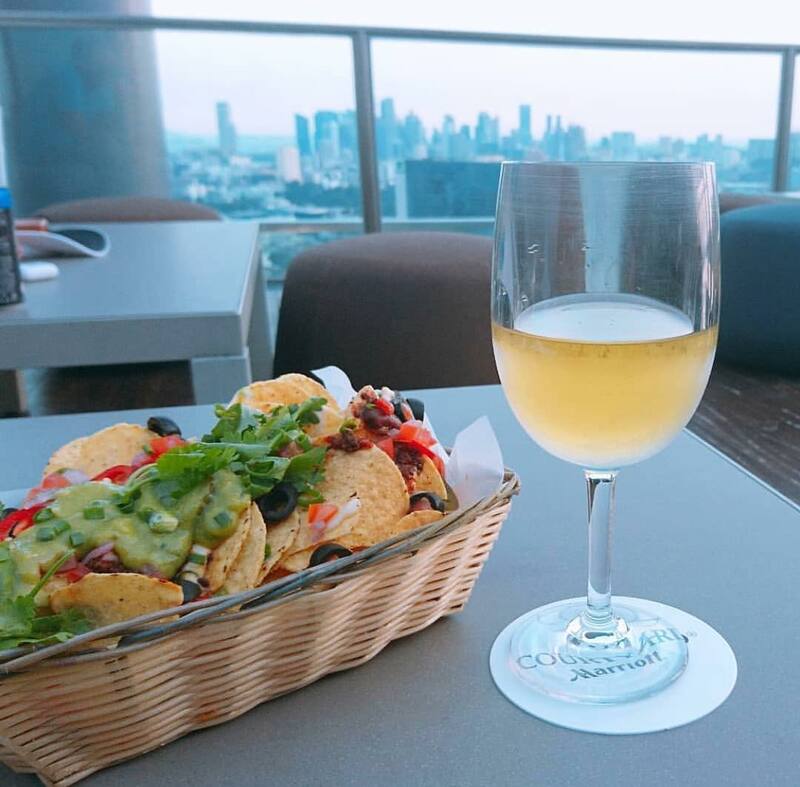 As you sip down a crisp glass of wine, enjoy their Urbana Classic Nachos ($20++). A meaty chilli con carne is slathered over a bed of crunchy nachos, followed by a blanket of creamy guacamole. For something more filling, consider their Singapore Chilli Crab Pizza ($26++). 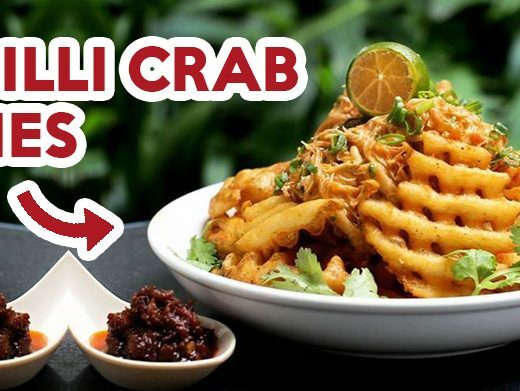 Mouth-watering chilli crab sauce is layered onto pizza dough and baked to a golden brown crisp. 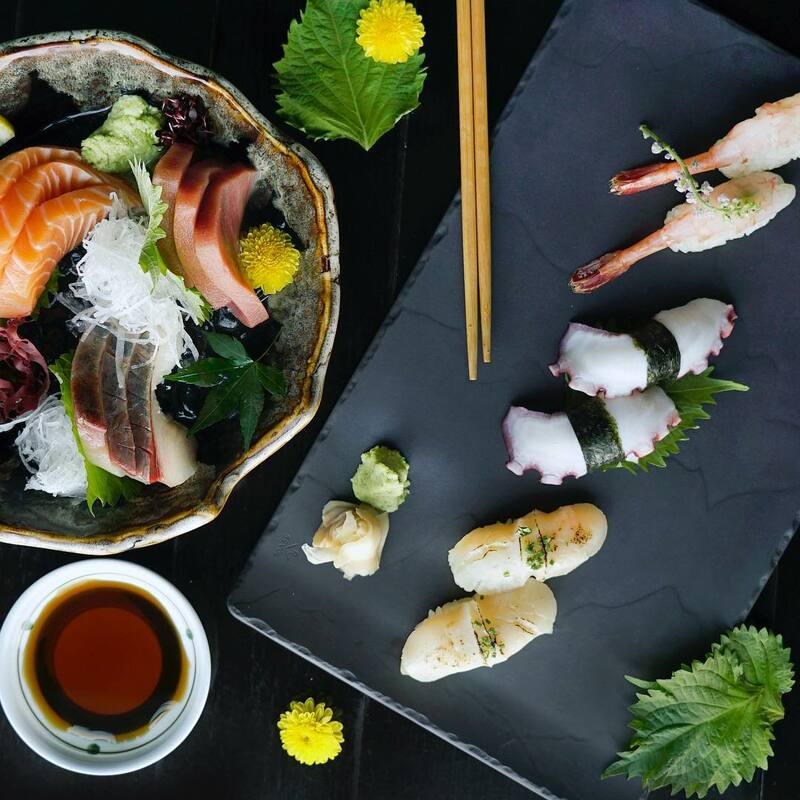 Kinki Restaurant and Bar offers a panoramic view of Marina Bay. In the evening, you and your date can marvel at the light show display by Marina Bay Sands without the insane crowd. Expect a Japanese-centric menu here. Salmon Sashimi ($20++) comes in thick slices, giving you a substantial mouthfeel of oceanic goodness. The Kurobuta Katsu Curry ($26++) comprises a succulent chunk of kurobuta pork coated in a thin crust of panko crumbs. Then, a thick Japanese curry floods the dish in a beautiful golden hue. 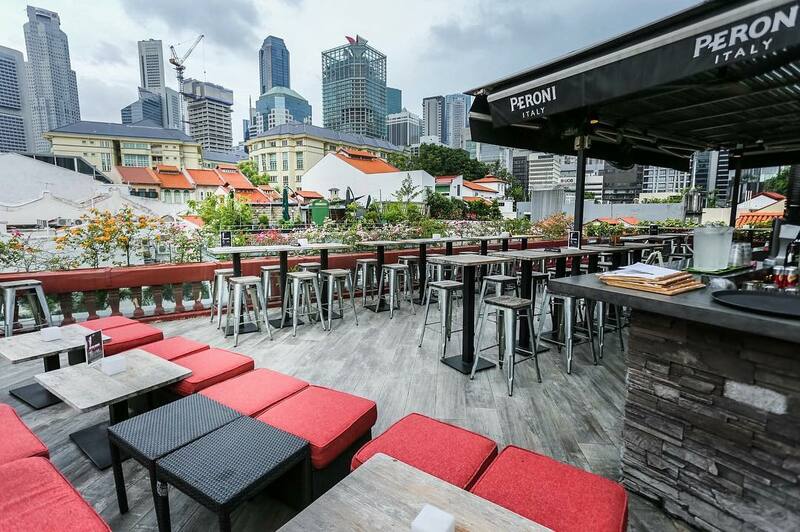 Fry Bistro offers a gorgeous view of the Duxton district with a lively atmosphere. 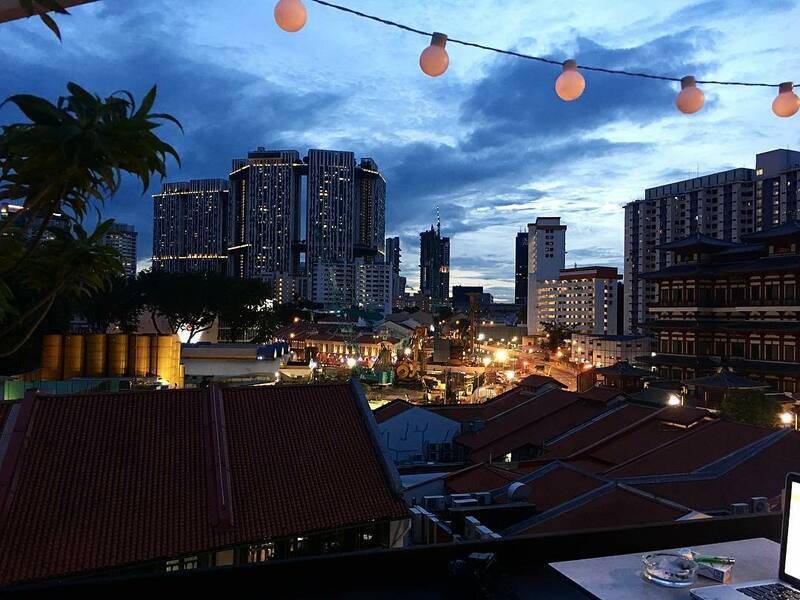 Sip on your favourite drink as you and your date watch the sun set behind the neighbouring buildings. 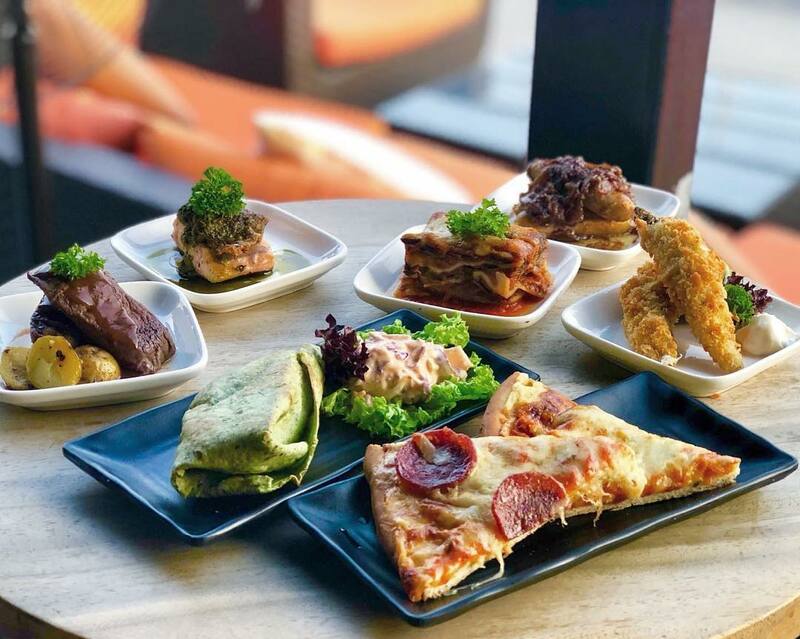 You could order Kimchi with Pork Belly Quesadilla ($20++), where thick slices of pork belly are tossed in kimchi, encrusted with a warm quesadilla wrap. There is also Pink Sauce Mac & Cheese ($18++) – a mix of tomato puree and cream sauce. You can even opt for additional ingredients such as shitake mushrooms ($2++), Cajun chicken ($3++) and even truffle oil ($4++) to pimp-up your dish. 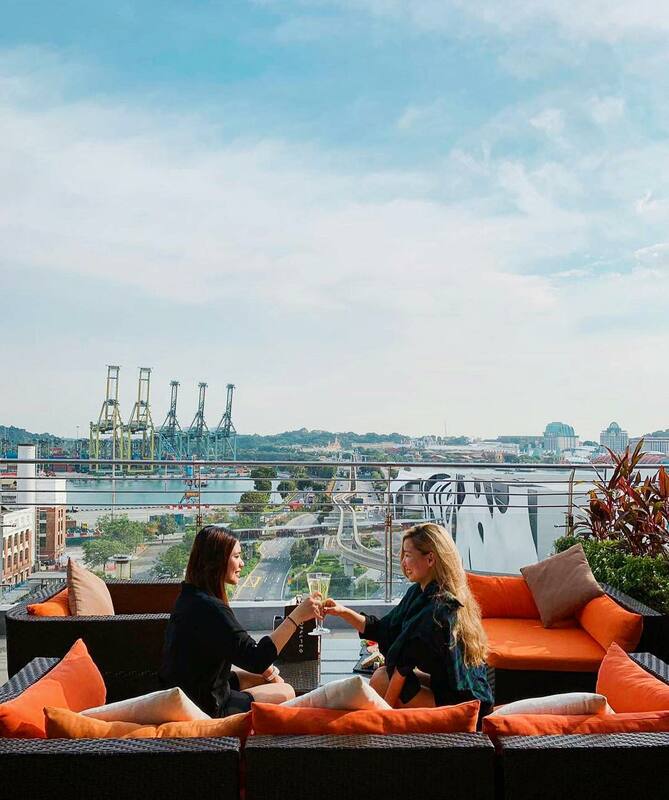 As your bae falls deeper in love with you after a date in one of those rooftop restaurants, you could consider these rooftop bars to up the anté. 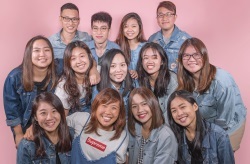 Featuring everything from beautiful rooftop bars with cheap drinks to high-ses ones for ballers, you can be sure that there’s an option for you. 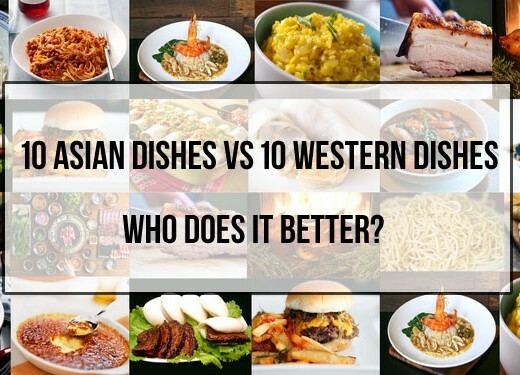 10 Asian Dishes vs 10 Western Dishes – Who Does It Better?